There’s nothing more frustrating than heading out on a cold winter day and your car won’t start because the battery is dead. Winter is often the time when older batteries show their age and reach the end of their life. There is hope however, if you are able to safely jump start the car and have the battery checked by a mechanic. This guide will explain how to safely jump start a discharged car battery. Standard lead-acid batteries that come as original equipment on most passenger vehicles have a service life of approximately five years. 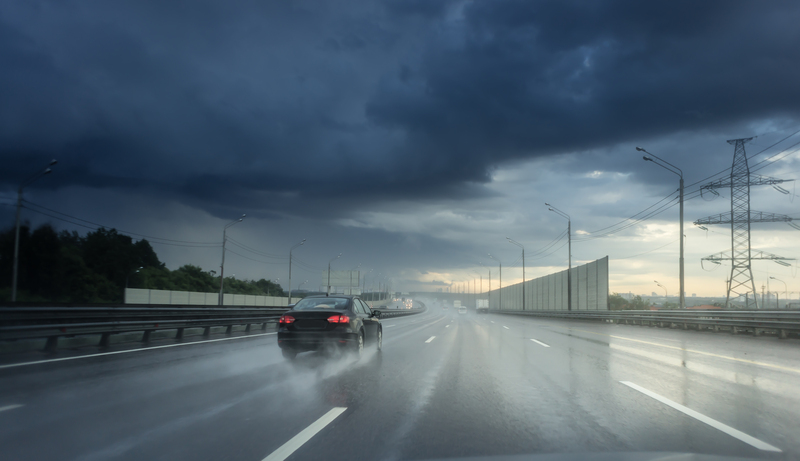 Car batteries usually reach the end of their life under extreme weather conditions – either hot or most often cold. I’ve had my last two batteries die in the dead of winter, when it was minus 20 degrees celsius. In both cases, I was able to jump start the battery but I then immediately went to my mechanic to have a new battery installed to avoid further headache. 1. To jump start a discharged battery from a good (donor) battery, park both vehicles close to each other but not touching. 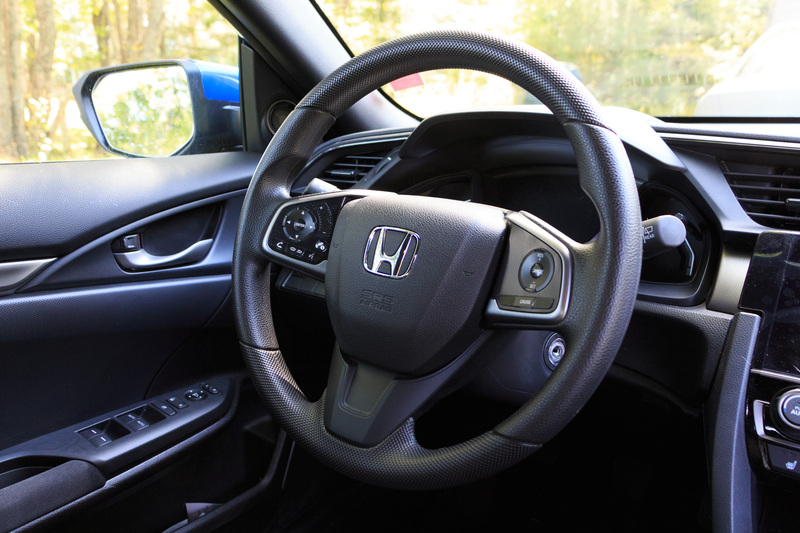 Do not have the donor vehicle running during this process because it could cause electrical damage if there is an electrical surge while the cables are connected. Better safe than sorry. 2. Open the hoods and locate the battery terminals, which are often enclosed by a plastic cover. Open the cover to expose the terminals and wipe off any excess corrosion with a rag. Do not attempt to jump start a damaged or leaking battery as this could cause a spark or fire. On vehicles with a battery located in the trunk, under a seat, or use side battery terminals, you should find a red plastic cover labeled as positive (+) in the engine compartment. This is there for you to make the positive booster connection. 3. Use heavy duty 2 gauge (best) or 4 gauge booster cables to connect the batteries in the following order. First start by connecting the positive (red) cable clamp to the positive terminal on the dead battery. Next connect the other positive clamp to the positive terminal on the good battery. Next while at the good battery, connect the negative (black) clamp to the negative (-) battery terminal. Finally, connect the other negative clamp to a bare metal part of the engine block on the dead car. Some vehicles even have designated negative (-) ground spots in the engine bay. 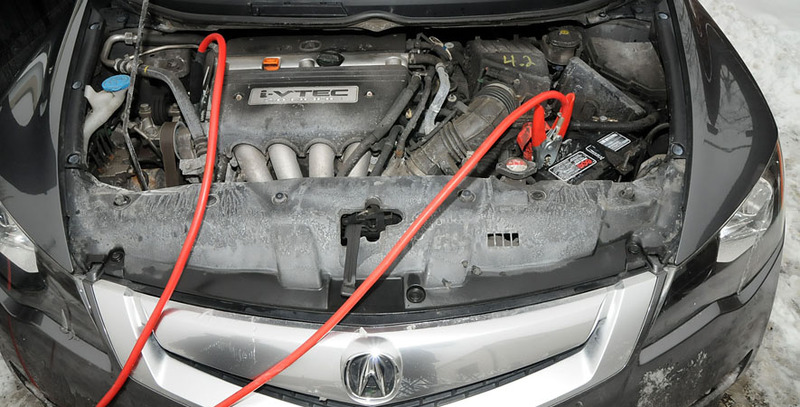 Be sure to make this last connection as far away from the battery as possible because a dead battery will emit hydrogen gas that could ignite if there is a slip with the clamps causing a spark. Also be aware of moving parts in the engine bay (such as belts) to ensure that the booster cables and clamps are clear and unobstructed. For your protection, be sure to wear safety goggles or a face mask and gloves when making the connections. 4. Now that you’ve completed the connected circuit, wait a few minutes for the voltage to transfer from the good battery to the discharged, then start it up with all of the accessory lights and power features turned off to minimize the power load. Once the vehicle is running, disconnect the booster cables in the reverse order: negative off the boosted car, negative off the helper car, positive off the helper car, positive off the boosted car. 5. Allow the boosted car to run for at least ten minutes to partially charge the battery before driving off. If the car does not restart on it’s own after going for a lengthy drive then have your battery, alternator and electrical system checked by a mechanic. The alternative/better way to boost a car battery is with a booster pack; when this option is available. Booster packs are sold at automotive retail stores and range in price from $50 and up. 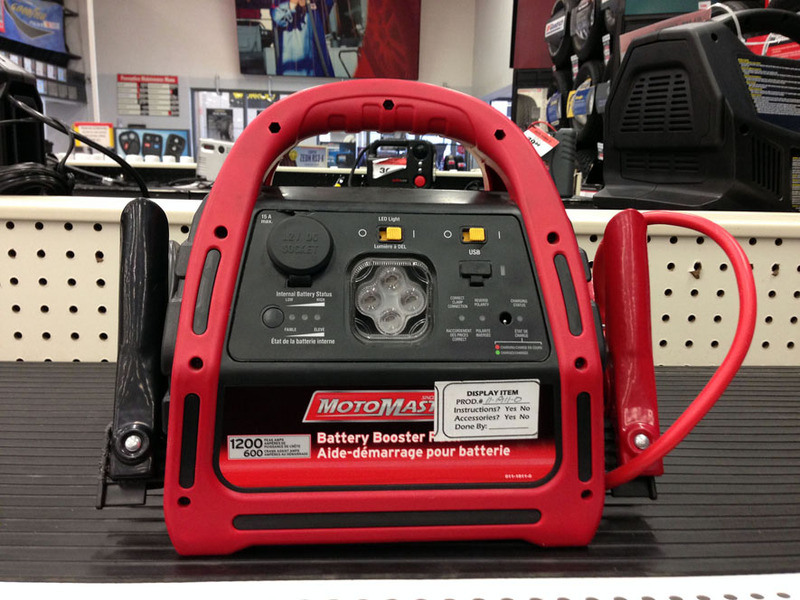 To boost the car battery, plug the booster pack into a power outlet, connect the positive (red) grip to the positive lead on the battery and then the negative grip to a bare metal part on the engine block. Then turn the power switch on the booster pack, wait a few minutes for the voltage to reach the battery, and start the car. This is the safer option as it does not require a helper car and leaves less room for error. Don’t be surprised if your aging battery has difficulty starting your car in extremely cold conditions. 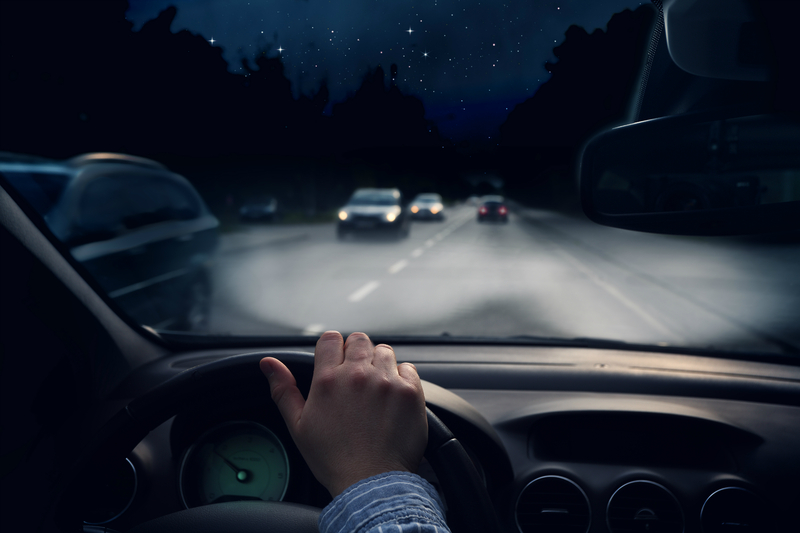 Batteries can lose over half of their starting capacity in severe cold so if you’re experiencing weak starts, have your car’s electrical system checked before you’re in a situation where you have to have your battery boosted. 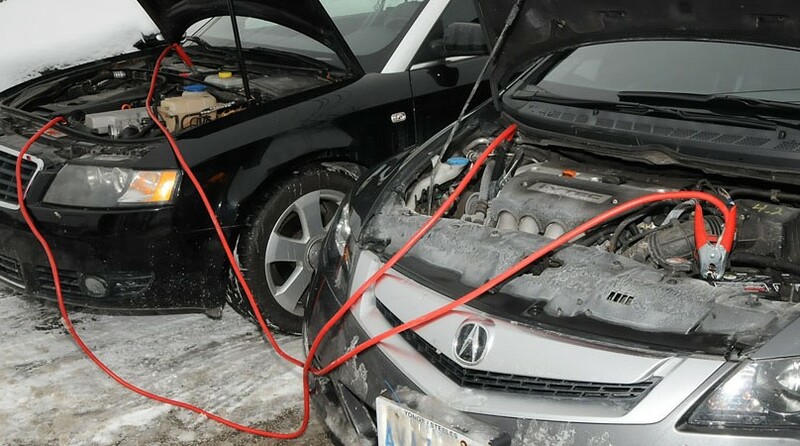 It’s better to be proactive than having to pull out the booster cables on the coldest (or hottest) day of the year.